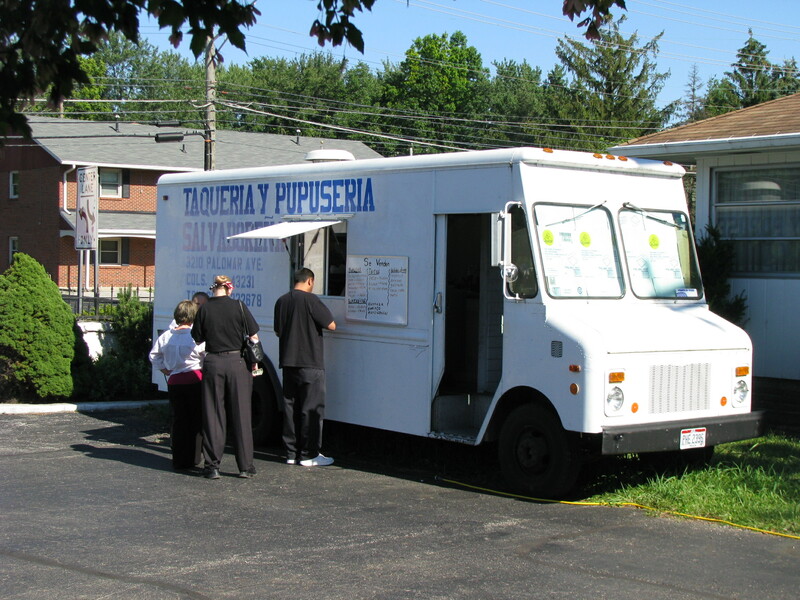 There is a growing number of non-Mexican food trucks (8th Taste, El Manantial, Pupuseria y Taqueria Usulateca, and Las Catrachas). The newest of these can be found on Cleveland Avenue, just North of Morse Road. 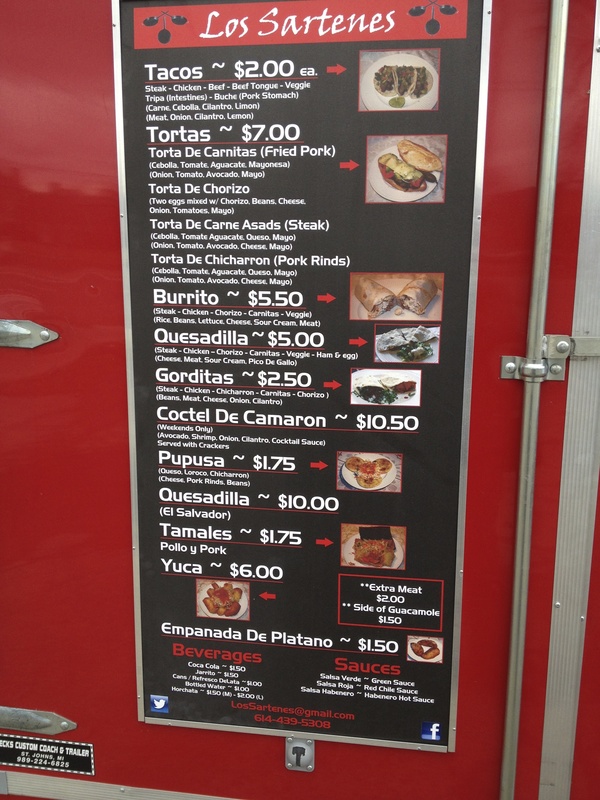 The speciality is pupusas and there is a choice of six different fillings. Pupusas are $2 each. They take a little longer to make than tacos, as each is made to order, but they are worth the wait. 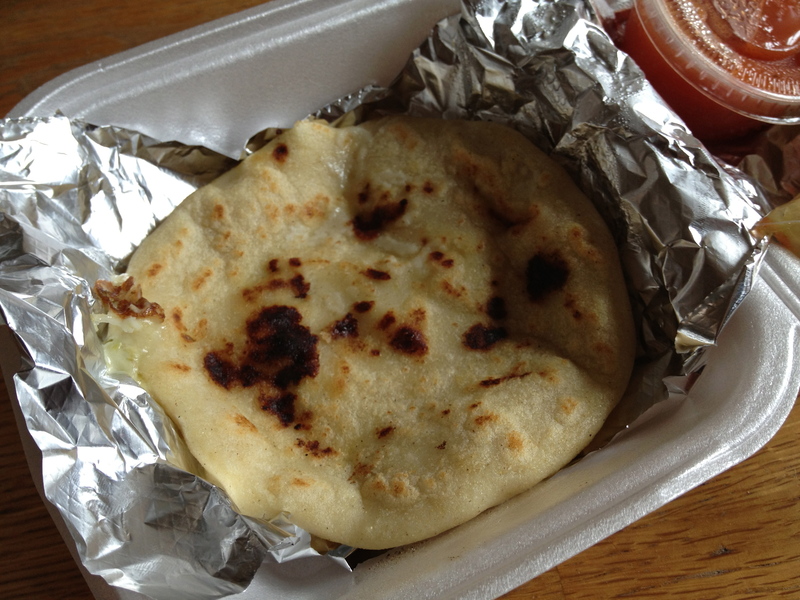 We tried the rebuletas pupusa. 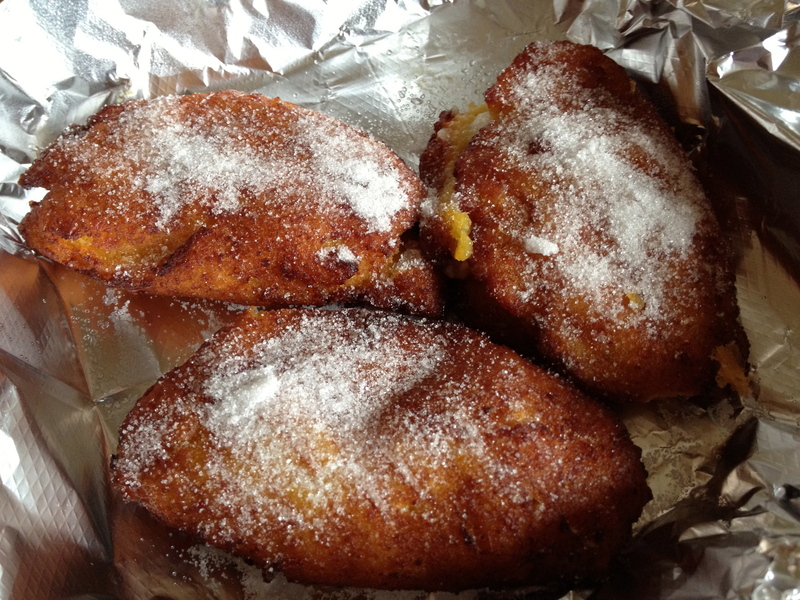 It had a nice crust and the filling was a steaming hot mix of meat, beans and cheese. 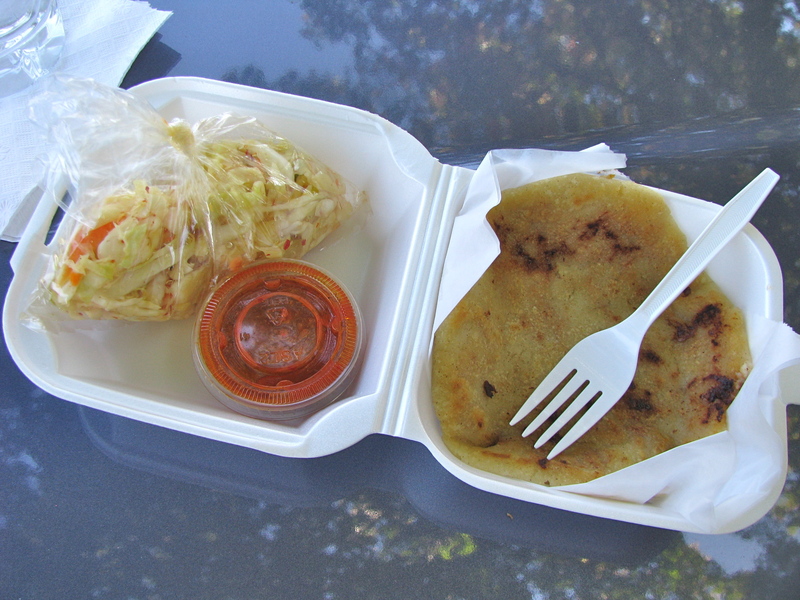 As is traditional the pupusa came with a side of curtido, a spicy cabbage slaw. 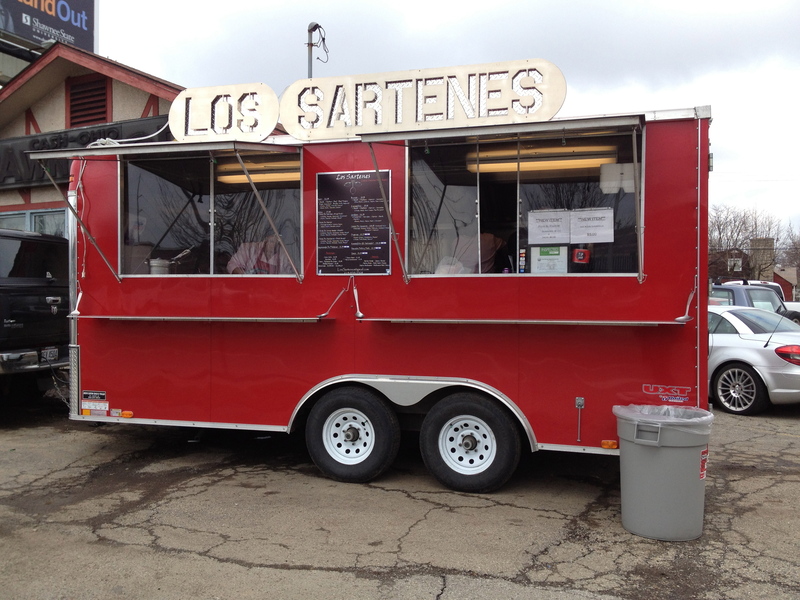 We could smell the vinegar when we approached the truck, but the flavor was not overpowering. It was some of the best curtido we have had. 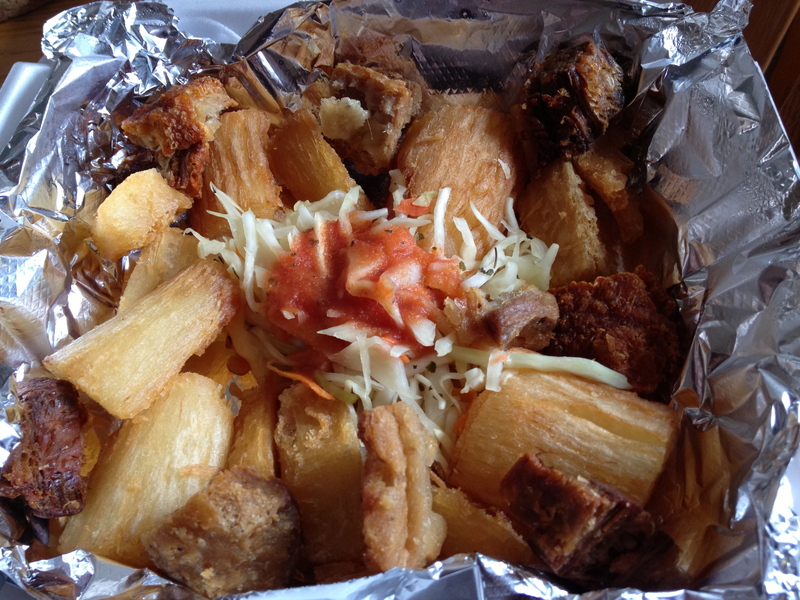 The special weekend menu will feature tamales, plantains and some other Salvadorean specialities. 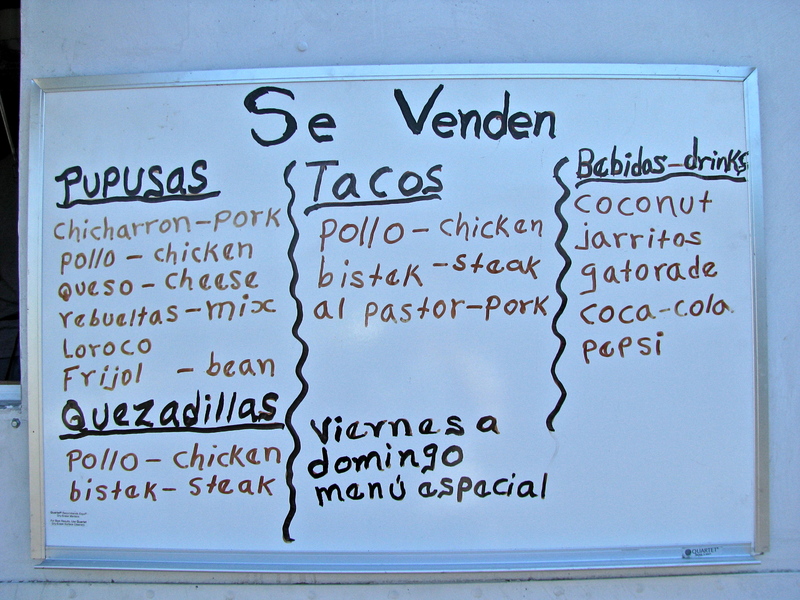 We’ll return soon to check out some of these as well as the rest of the daily menu.